As I pulled the “bible study tonight” sign from the door, the neighbor stepped out of her apartment. No one had shown that night. “I noticed you have people over every week for bible study. I have a lot of questions about God. I’d love to talk about it sometime.” Pleased with her request, I invited her to “join us next Thursday”. Stepping into the living room I happily announced to my roommates that our neighbor would be coming next week. Returning home Sunday evening I found a crowd standing along the sidewalk. Yellow tape crossed in front of the hallway blocking my entrance. A police officer met me as they wheeled a blanket covered gurney to a waiting station wagon marked “Coroner”. He wanted to interview me. Had I heard anything? Did I know anything about the woman who four days earlier wanted to talk about God? Could I come down to the station on Monday and give a statement? A few days later I received the call. The gun that took her life was in her own hands. The hopeless ache had pressed in so hard she was seeking a way out. She sought answers from someone who couldn’t see past scheduled bible studies and worship services. A woman who already had time set aside to “talk about God”. I was the religious person in the parable. This woman, beaten up by life was begging for help as I walked by on the other side of the street. Too busy with my organized activities to bring her into my living room. To hold her hands in her distress may have given her strength for another day. We do that don’t we? We plan our ladies functions, our church services and out Sunday classes but forget the everyday questions from souls who are searching. Somewhere along the line we’ve stopped being satisfied with “doing life” across from each other, face to face and heart to heart. 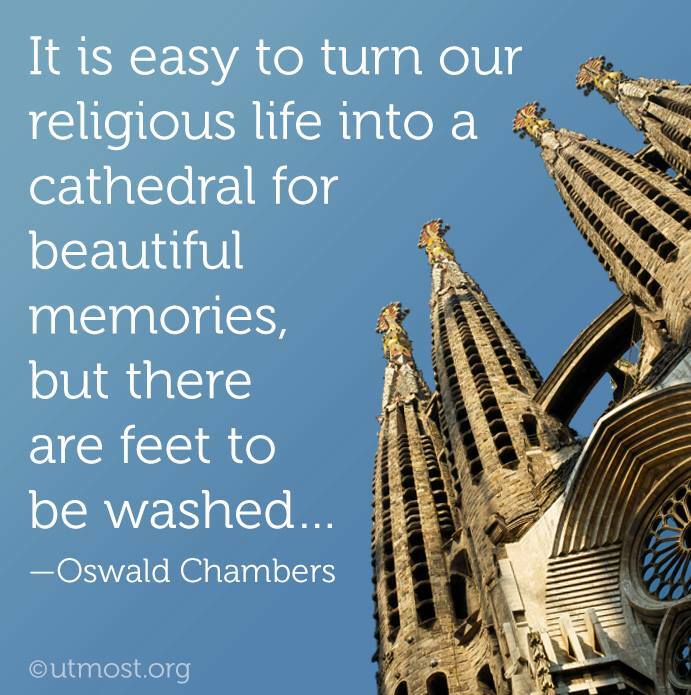 We may sit in our cathedrals or chapels or down the pew but many of us only pass in the foyer. We’ve become so busy planning the next event that we’ve left no room for the questions. The voices move to a place to be heard or give up in silence. Our false sense of closeness in social media has done little to fill the void. It’s a steady diet of junk food for the heart when we don’t use it to meet face to face. At one time, when my daughter was very young and ill, message boards and chat-rooms were a lifeline. Young in the pastorate I reached out to other wives of pastors and to the day maintain real life friendships where our hearts have met to wash each other’s feet. The world has changed rapidly in recent years. What hasn’t changed is the need to stop, listen, touch, feed, nurture and pray with each other. To speak peace and grace and live out mercy in the lives of each other is still a need we will always have. To step past our scheduled meetings and out of our own comfortable agendas is to lead others to the Saviour who bent with a towel to partake in the lowest task of that day. On His way to the cross He stopped to break bread, wash feet and pray with fervor. All He asked in return was for His disciples to keep watch. They fell asleep at the entrance of the garden, bellies full of Passover and weary from the long week of religious activities. We who call ourselves His followers must remember to keep awake to engage in fellowship at His feet and side by side. With the resurrection promise fresh in my soul, I want to follow His lead, wrap a towel around my waste and kneel at the feet of those still covered by life’s dusty road. I want to break bread and ask questions and relax while keeping watch but no longer do I wish to sleep. The story of my heart demands that I stop to answer the questions. Leading those empty, hearts to the God of hope, not a padded pew on an appointed time. Not a time of my choosing but to know the sacred moments woven in to the simplest of days.